This statewide program is run by The Kennedy Center that will teach you how to safely use public transportation. The program is funded by the CT Department of Transportation. There is no cost for the training program however, each participant is required to pay the bus or train fare while training is taking place. For more information about travel training please contact Margaret Mixon, the Director of Mobility Services at the Kennedy Center at 203-365-8522, ext. 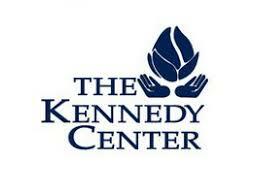 265 or email him a jrubell@kennedyctr.org. The Kennedy Center Travel Training is a nationally acclaimed program that teaches people with disabilities and seniors how to properly and safely use the local bus and rail system on a one-to-one basis throughout the state of CT. Since 1991, The Kennedy Center has successfully travel trained more than 3,000 people with cognitive, sensory, and physical disabilities, aged 16-95, to use local buses and trains to access the community. There is no charge for travel training, our program is grant funded by The Connecticut Department of Transportation. Connecticut residents with disabilities and seniors who wish to become more independent should consider participating.Your residence and destination should be on or near a bus or train route. Travel destinations are your choice and can include; work, medical appointments, and leisure activities. How do I learn to use public transportation? The training process is individualized to meet your personal needs, with an overall emphasis on safety. A qualified mobility instructor will travel with you to your desired locations, at times of your convenience. Your instructor will stay with you, teaching you techniques for safe travel until you are ready to travel on your own. What other assistance does travel training offer? How long will it take me to learn my route? There is no time limit for training. An instructor will stay with you until you feel comfortable and confident riding the bus or train, and will be available for follow-up services. We are funded by the Connecticut Department of Transportation, therefore there is no cost for the training program.Each participant, however, is required to pay the bus or train fare while training is taking place. We are also available to conduct “Train the Trainer” seminars and to consult with agencies interested in starting a Travel Training Program. For more information on The Kennedy Center Travel Training Program, please contact our Director of Mobility Services located at our Trumbull office either by phone, 203-365-8522, ext. 265 or email.